11-14.03.12. Casablanca, Morocco. 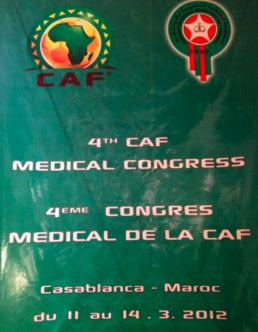 The Confederation Africaine de Football (CAF) organizes its 4th International CAF Medical Conference, with „Prevention in Football“ as one of the main topic. The F-MARC team is actively involved with several presentations and workshops.